Visiting the State Capitol and Connecticut’s Heroes | Write to the Point! The Jakes, short for “Journalism Kids” – the name the Twain Studios Writing Apprentices chose for themselves – thought the Press Room of the Connecticut State Capitol was pretty cool. 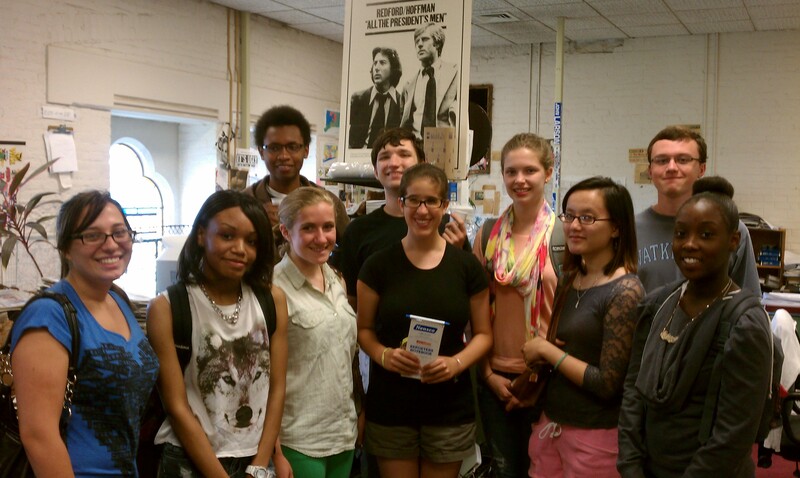 From left, are Meaghan Szilagyi, Ashaya Nelson, Rae Martin, Molly Miller, Alan Burkholder, Cecilia Gigliotti, Ambriel Johnson, June Tran, Grant Henry and Jahyra White. 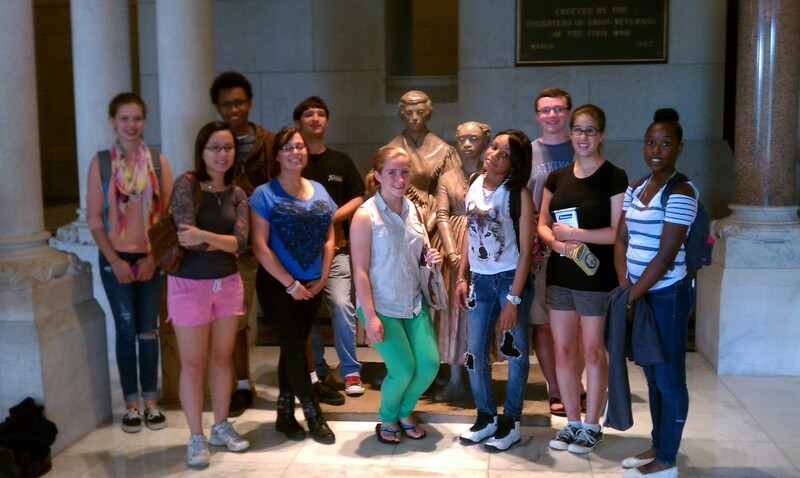 The apprentices visited the Capitol in their final days at Twain Studios. Many had never been there before, and none had seen the Press Room. They loved it. 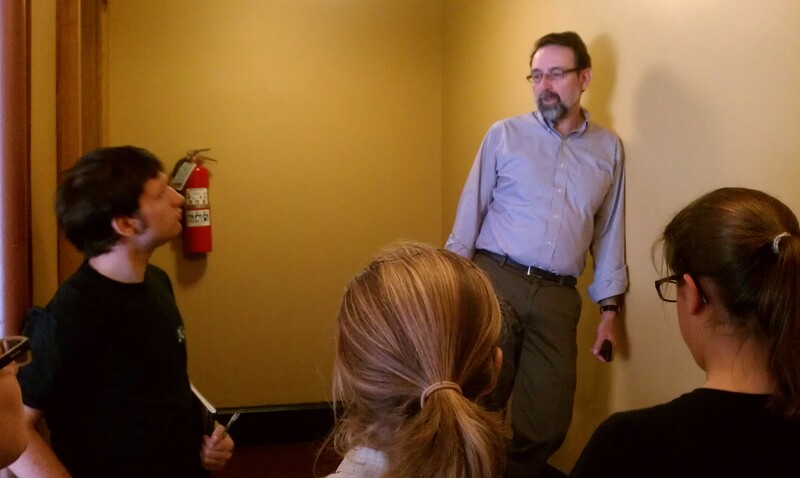 Veteran news reporter Mark Pazniokas of the CT Mirror spoke with the Writing Apprentices of Twain Studios when they visited the state Capitol’s Press Room. 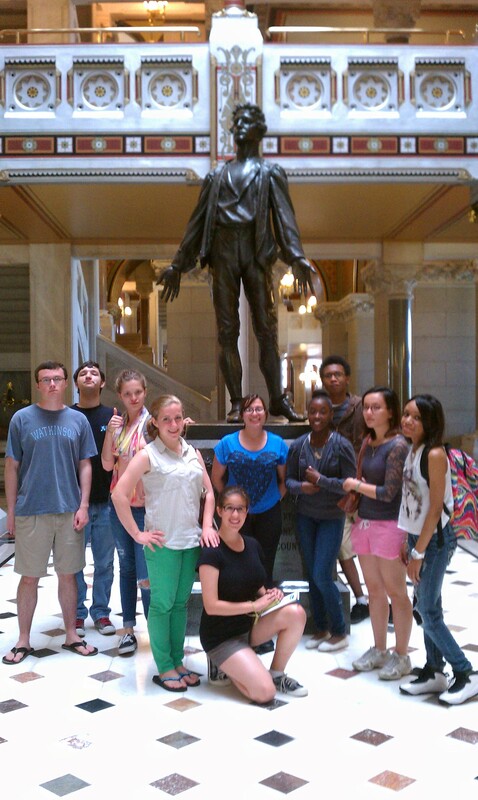 Writing Apprentices of Twain Studios with State Hero Nathan Hale, in the Capitol. 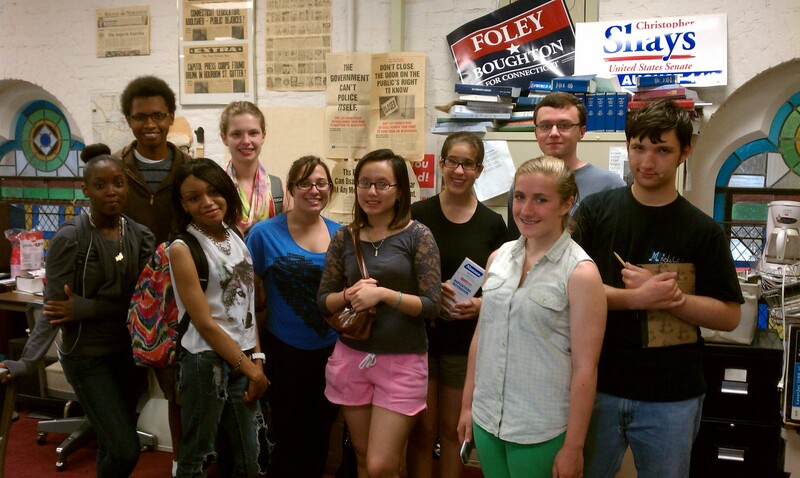 From left: Grant Henry, Alan Burkholder, Ambriel Johnson, Molly Miller, Meaghan Szilagyi, Jahyra White, Rae Martin, June Tran, Ashaya Nelson. In front, Cecilia Gigliotti.